Gorby Trail is an excellent hiking and biking route from Lizard Creek into Cedar Bowl of Fernie Alpine Ski Resort. Along the route is a stand of impressive old-growth cedars. 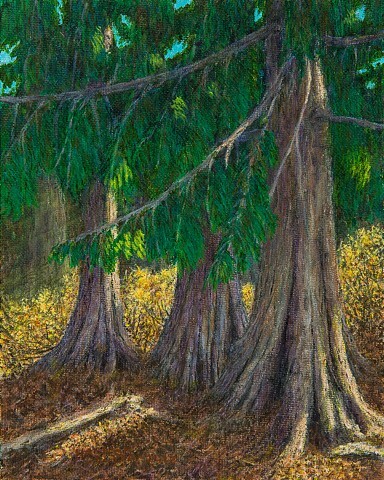 In my painting, I wanted to show the massive tree bases that hold these grand trees against the mountains' strong winds.